WOW!! 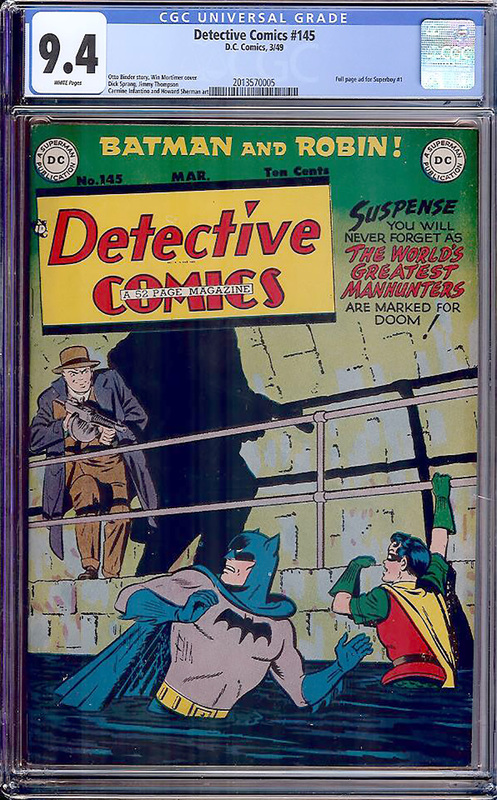 This 70 year old copy of Detective Comics #145 is THE SINGLE HIGHEST CERTIFIED EXAMPLE! A true Near-Mint 9.4 in every way. The next highest is a 9.0. Not only that, it is perfectly centered and has WHITE PAGES! GREAT Win Mortimer "Marked For Doom!" cover. Full page ad for Superboy #1. Astounding copy of a very difficult issue to find in grade.